Inserting leaflets into a pharmaceutical product carton can be difficult and costly. 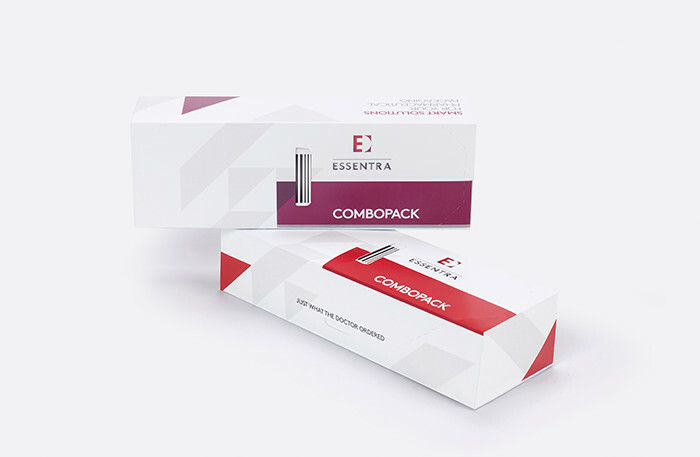 Essentra’s ComboPack™ enables cartons to be preloaded with a cross-folded tagsert before contents are added. There’s no need for a separate folding process, and it reduces transport costs as the combined package and contents are produced on the same site. The system is based on large dimension tagserted leaflets that are placed inside the carton using soft-release glue. The tagsert label enables the leaflet to remain fixed inside but easily extractable from the carton without tearing the leaflet’s paper.